I agree. Very nice pictures of a lovely and handsome family! Nice! The queen looks absolutely lovely! Beautiful pictures! 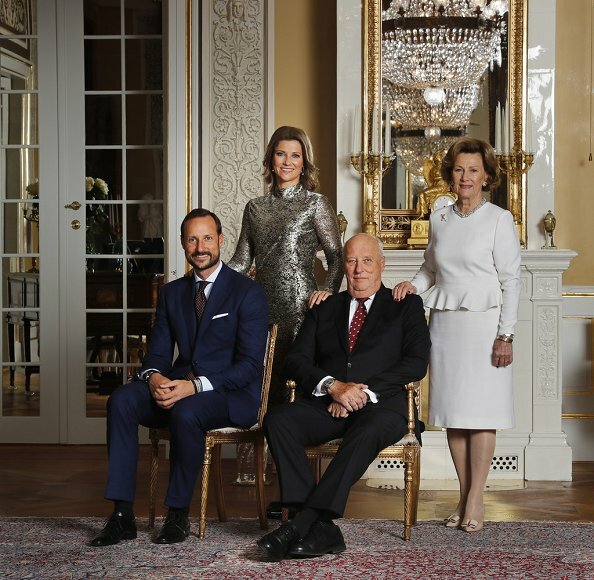 Märtha Louise looks really pretty. I like Mette Marit's hair too, she should have it like that more often. The waves suit her. The queen is looking beautiful. I love her shoes. Really hard to believe Sonja is 80 years old. Lovely photos. But look at Sverre, I just can't stop laughing. He seems to be a very funny boy. It is indeed hard to believe the queen's age. Some fortunate people seem to age very gracefully. And she always looks very elegant. Very warm and lovely family photo. 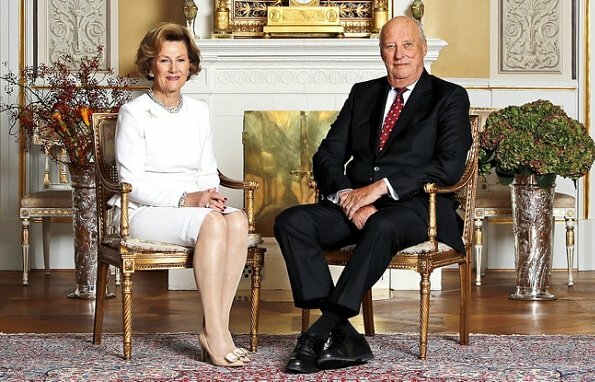 Its indeed hard to believe that Queen Sonja will be 80 this summer. She's still looking elegant, strong and decades younger than her years. Happy birthday to their majesties! I totally agree! The Queen is looking amazingly young and beautiful! Indeed, Q Sonja looks wonderful and this white dress is just sublime on her. The whole setting is nice and I especially like the considerate decision to include Marius on the first photo. The second one is however a bit strange, the gents sitting and the ladies standing. 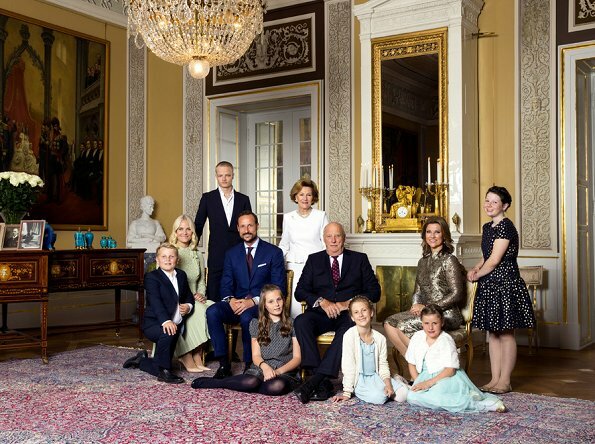 I'd prefer a version where King Harald and Queen Sonja is sitting and their children are standing. Ingrid Alexandra is growing into a very beautiful young woman. Lovely bone structure. She reminds me a lot of the young Queen Sonia. Lovely photos! The Queen looks amazing.